Much attention is paid to the parenting choices of privileged white women, but what about the women of color and poor women in the background who are often doing a significant portion of the domestic work? It’s a photo that is shocking and almost dystopic—a group of dark-skinned women in neat rows donning hospital gowns and masks, pumping breast milk into machines. A short subtitle tells us that the picture is taken during a milk donation at a hospital in Colombia. In certain ways, it’s evocative of photos like this one, showing an enslaved black woman nursing a white child. Although breastfeeding in the mainstream media is often a conversation that centers on agency and choice, this photo suggests something else—a transaction rather than a bond between mother and child. But in the Newsweek article that follows the attention-grabbing photo, these women and their donations are given no names, no explanation, and no story. Instead, writer Caroline Buia writes an article about the rising and profitable demand for breast milk around the world. She discusses medical uses and nonprofit work, as well as lucrative business ventures in the area. While some time in the piece is spent discussing the exploitation of women in the past who worked as wet-nurses (often to the detriment of their own children), she spends almost no time highlighting the labor practices and demands on women who supply milk in this industry today. But her photo gestures quietly to what a world that wants breast milk might look like—poor and minority women selling bodily fluids for wealthier neighbors who are willing to pay. As Slate writer Amanda Marcotte notes, groups like the Black Mothers Breastfeeding Association worry that companies recruiting lactating black women will translate to less breast milk for those children. And in a world in which wealthy and more affluent people in the West already rely on black market organs sold by desperate people living in poor countries, the future of breast milk sales are a concern we should take seriously. 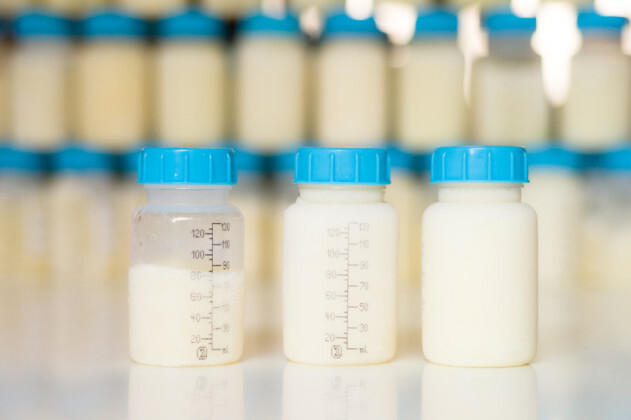 In truth, there’s not much solid evidence that breast milk is better than formula for children in the long-term. In my own work, I think closely about our culture’s preoccupation and debates over nursing, attachment parenting, and “stay-at-home” moms. In large part, these issues fixate on the “choices” of highly-educated, white, upper-class women. Even though the bulk of women who stay at home are Hispanic and have no college education, the mothers we discuss often are much like Jamie Grumet, the thin attractive blonde woman on a Time Magazine cover that asks “Are You Mom Enough”? (Hint: Jamie is). We’re living in a time in which technology allows parenthood to be bought and sold much more easily than in times past, detaching birth from parenthood with contracts and petri dishes. It’s also a period in which straight marriage is in decline and gay marriage is rising (challenging heteronormativity and patriarchy). Focusing on women as biologically engineered to physically avail themselves to a child’s every need is a story that belies the real world changes we see in our families today. More than a sensational news article, these stories function as an ideological guide that conveys where and what a woman must be. These news stories that focus on white motherhood, or the parenting choices of white mothers, fixate on white women as centers of reproduction and domesticity. But at the same time, these narratives eclipse the women of color and poor women in the background who are often doing a significant portion of domestic work in those homes (or in sterile rooms far away). Their pay wages aren’t discussed, their choices in being home with their own children, their lack of social security or retirement savings, their safety, and the precarity of their employment are shoved to the side. Moreover, the childcare contributions of these domestic workers remains undervalued, unrecognized, and, often, unspoken. (Think, for a moment, about the defense of Ann Romney’s role as a stay-at-home mom). “Mother,” after all, is a title—not a job description. And with technologies that allow these very same women to rent their uteri, sell their ovaries and breast milk, all with very little actual choice in a crumbling job market, we should all be very concerned about what motherhood will look like in this country (and who these practices might ultimately harm).